The 5 Most Innovative Augmented Reality Products of 2018 - Augmented Reality, Virtual Reality & Mixed Reality services in Chennai, India. In 2018, augmented reality went from the vague promise of interesting things in the near future to tangible developments in software and hardware, proving that immersive computing is indeed the future. Traditional mobile apps on smartphones continued to maintain user attention, while desktop computing chugged along on fumes, and VR saw a few ups and downs, but mostly managed to remain somewhat relevant. But by far, the most exciting development in computing this year came by way of AR. With that in mind, we decided to take a quick look back and highlight some of the best innovations that point toward AR’s future. When the Magic Leap One finally debuted in August, the public’s reception was less than warm. After keeping the public in the dark for so long, many reviewers were fairly fed up with the hype and hammered the company hard when the device “only” delivered what many have called an incremental step above the HoloLens. But whether you agree with that take or not regarding the device’s merits, the subsequent months have proven that there is excitement and growing interest around what the Florida-based startup has produced. Of course, like the early HoloLens, the number of actual Magic Leap users appears to be small. But based on the chatter online, the ranks of Magic Leap One developers and users is growing. And along with the individuals, the list of companies pushing out products for the Magic Leap is growing rather fast. From Cheddar’s live news stream app to Lowe’s flawed (but potentially huge) Showroom app, to Avatar Chat (which now supports three users), the software ecosystem for the Magic Leap is growing by leaps and bounds. And that pace may even speed up when the Direct TV app arrives in 2019, and when we find out the who the winners are in Magic Leap’s funding grant program. 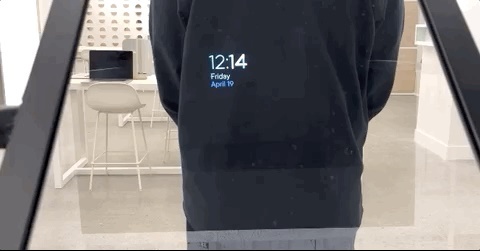 The device is still essentially in its beta stage, and not something most people would wear all day at home. But the current version is amazingly well designed, and we’ve had very few reports of major glitches or product failures. Combined, these are all great signs for Magic Leap’s next, more consumer-focused version, which may be even better, and possibly ready for mainstream heads and hands. Born from the ranks of the Meta team, the DreamGlass device hasn’t received a ton of attention, but it was a refreshing take on mobile AR that’s next level, yet affordable. 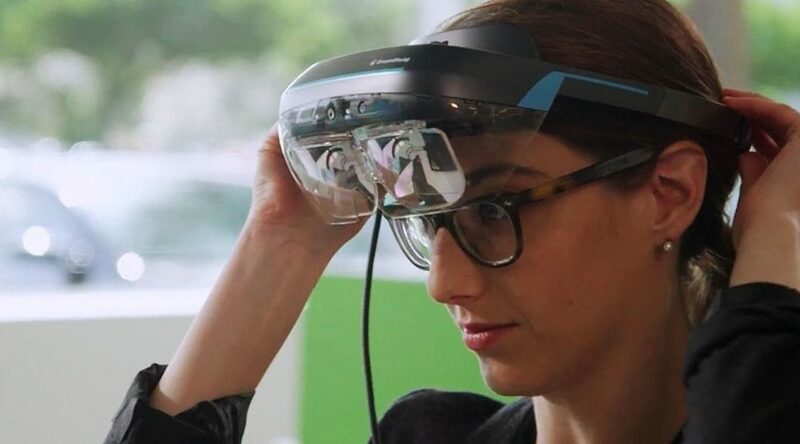 By pairing the DreamGlass visor with an everyday Android smartphone, users get access to a basic AR computing environment that includes 6DoF tracking, hand gesture recognition, a 90-degree diagonal field of view, and a 1080p front-facing camera and microphone. Starting at $619 ($799 for the 6DoF version), the device represents an incredibly attractive midway point between low-level AR that you view through your smartphone’s screen and high-end AR from the likes of the HoloLens and the Magic Leap One. With such a low price and easy to deploy set-up, the only thing really holding the DreamGlass back is marketing and a community of developers devoted to creating software for the system. If the tiny startup can solve that, then it has a shot at the big time. In the meantime, what DreamGlass shows us is that the computer-in-pocket-tethered-to-glasses dynamic will likely become the most popular set-up for most competing AR headset makers, high-end and low-end, for the foreseeable future. An unlikely and mostly unknown player has emerged in the race to bring consumer-ready smartglasses to the masses, and it’s Canadian startup North. After a good deal of hype back in October, the company dropped a surprise release on the world in November. 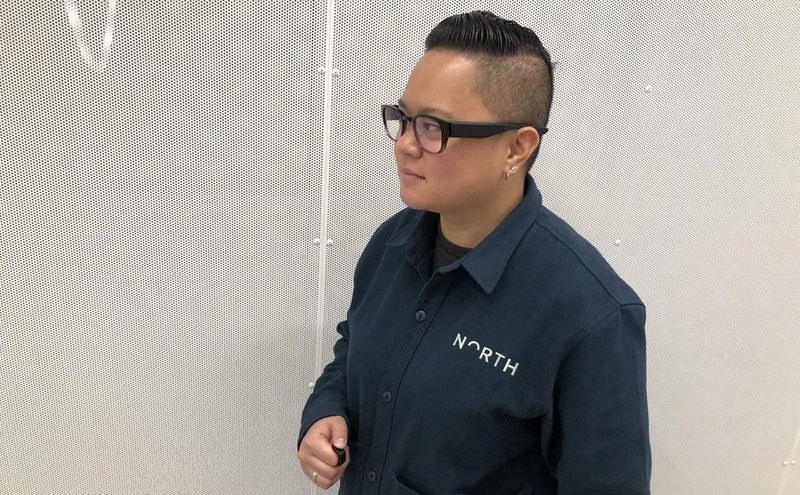 But instead of showing up at Best Buy or Walmart, the smartglasses, dubbed Focals, come complete with dedicated retail locations in New York and Toronto. The device itself doesn’t break much new ground (although the Amazon Alexa integration is pretty slick). But what’s really exciting about Focals is the promise of AR ditching the safety glasses look we’ve become accustomed to from devices targeted at the enterprise sector. Instead of that woodshop/science class look, Focals lean more toward a Warby Parker design aesthetic that immediately makes the prospect of wearing smartglasses much more palatable for mainstream users. There are a couple of issues that indicate that the device might still need a little more time to mature — which we covered in our hands-on review — but no one really expected Warby Parker-style smartglasses shops in 2018, so that alone makes North, and its new basket of patents, worth watching closely. Remote communication via AR is something that is still in its infancy, with varying solutions on the HoloLens and the Magic Leap One showing us how easy it now is to collaborate in such computing environments. However, nothing on the market is as impressive as Spatial, which includes the ability to use realistic avatars that look exactly like you, along with usable virtual arms and hands. Currently, the software tool is only being made available to business customers, but as long as the small startup can keep its momentum, it’s only a matter of time before this software reaches non-business users. In short, it’s the closest thing to working with other people and their avatars in VR (something that happens more than many realize today), but without the limitations of being closed off in a virtual environment. Our hands-on review is just a taste of what’s possible with Spatial. The current version is only available for the HoloLens, but the team is working on a Magic Leap One version that will more than give Avatar Chat a run for its money. We mention this innovation as a category rather than as a single product because so many interesting initiatives in this space made the news this year. If you’re unfamiliar with the AR cloud as an idea, in broad terms, it’s simply a cloud-based system that allows various AR users to share experiences across a wide array of devices, and in various locations, with those virtual AR objects and footprints of activity remaining persistent, much like your activity on the web. Magic Leap talked about this concept during its L.E.A.P. conference, calling it the “Magicverse,” and explaining its use in a futuristic scenario in which AR cloud data layers a city. But there are real companies actually working to deploy AR clouds right now. Notable standouts include 6D, Niantic (an offshoot of Google), Amazon, Ubiquity6, Blue Vision, Microsoft, and others. Each company is taking a different approach and, based on factors like their market footprint, methodologies, and founder experience, there’s no obvious early leader in this category (although many AR insiders have their favorites). What’s will be most interesting is watching how the growing field of blockchain technology impacts how some of these clouds are handled and monetized. While so many blockchain devotees are focused on cryptocurrency coin prices, the utilization of blockchains in AR (and VR) is where a lot of the most interesting action may be in the coming years. The AR world filled 2018 with surprises, and we made a lot of progress toward those concept videos we so often see. And we haven’t even seen Apple’s rumored smartglasses yet, a product event that will likely change everything. Nevertheless, 2019 promises to be packed with even more innovation and excitement.